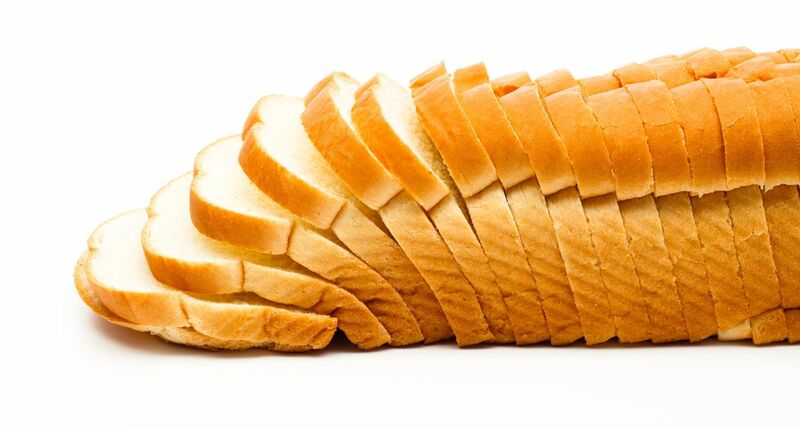 Surveys have shown that bread freshness plays a critical role in consumer preference. 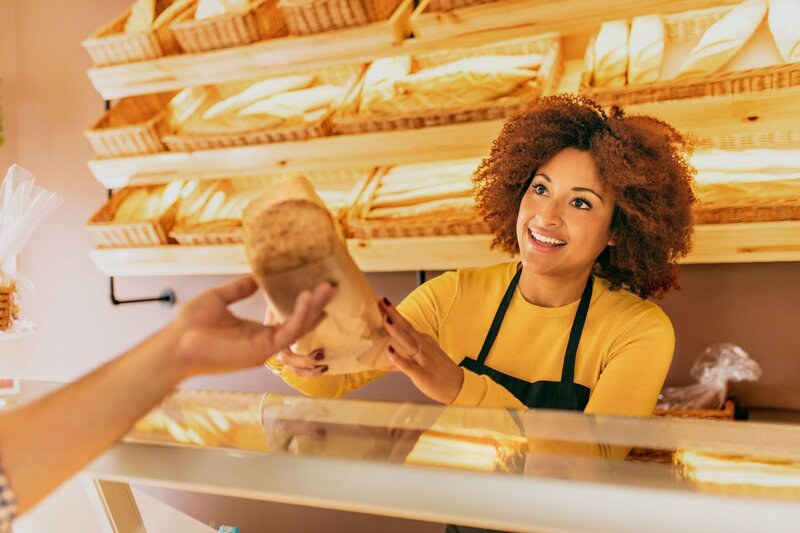 The modern busy life style often leads consumers to visit bakeries only a few times per week and therefore they prefer products which stay fresher and tastier for longer. This means that Alfa Fresco would be a key improver for your future business success. 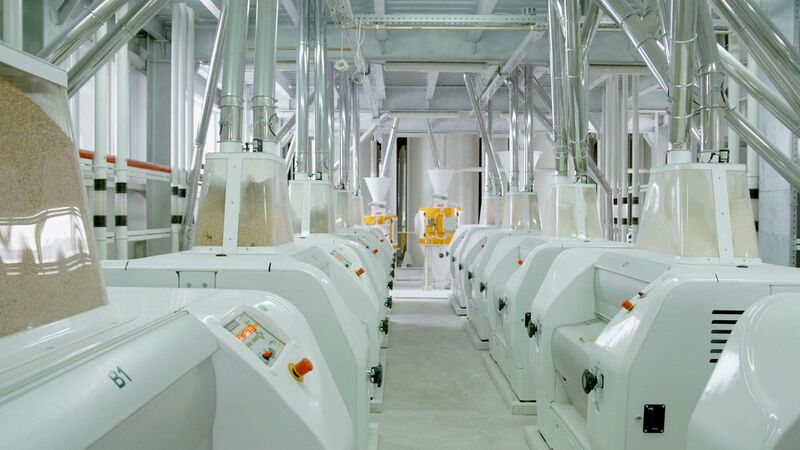 It is a versatile improver based on the latest enzyme technology which can be used in a wide range of bakery products such as bread, hamburger buns, brioche and panettone. 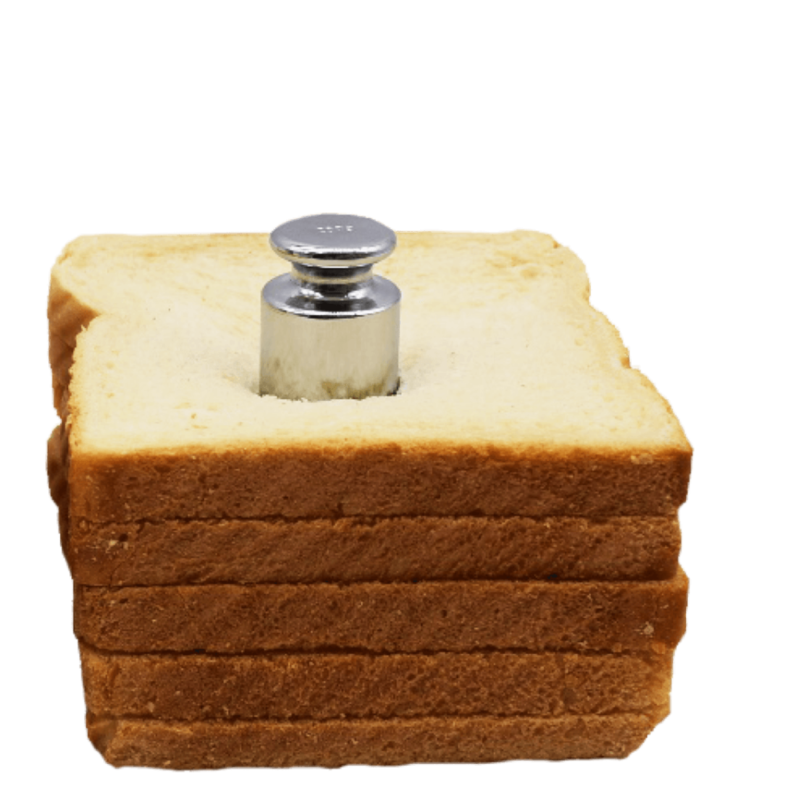 Alfa Fresco keeps your bread softer and fresher for longer. 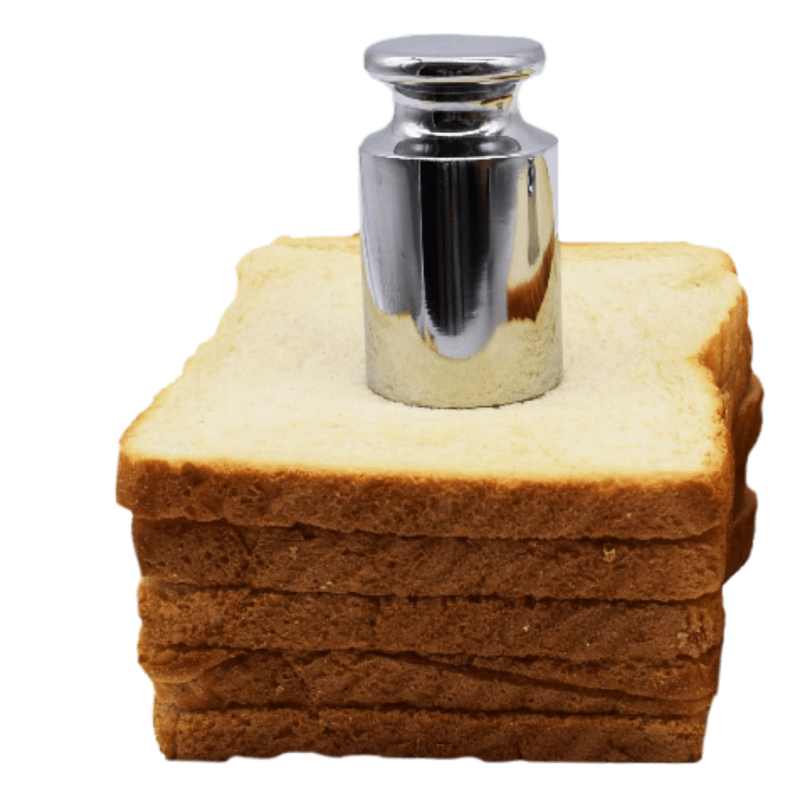 This is an easy to use, highly concentrated, clean label improver which helps to maintain the crumb elasticity and bread moistness. Bread and related baked products with added Alfa Fresco are highly rated by the consumers. The addition of Alfa Fresco results in extreme crumb elasticity. 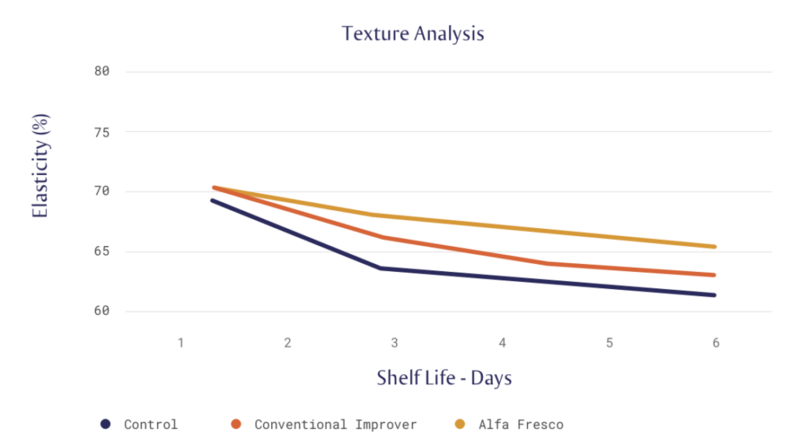 Lab Tests Confirm Alfa Fresco’s Superiority Over Conventional Fresh Keeping Improvers. 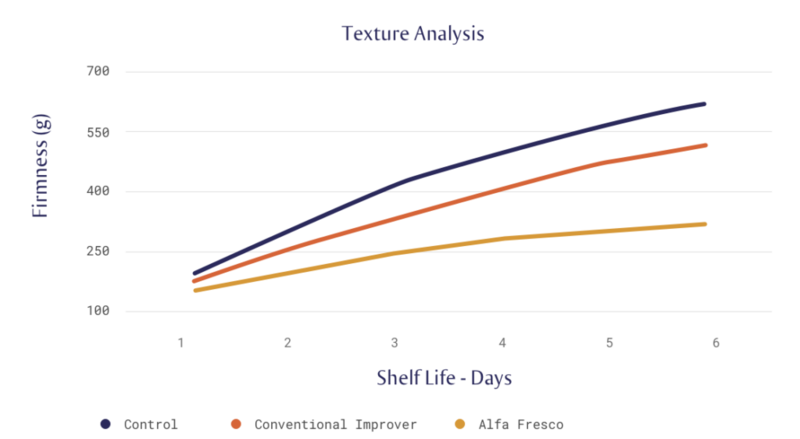 Lab tests on white pan bread have shown that crumb softness and elasticity were better maintained with Alfa Fresco than with a conventional improver which was formulated with distilled monoglycerides and SSL (figures 1 and 2). Figure 1. Texture analysis on crumb firmness, Conventional improver 1 kg/100kg flour, Alfa Fresco 50g/100kg flour. Figure 2. Texture analysis on crumb elasticity, Conventional improver 1 kg/100kg flour, Alfa Fresco 50g/100kg flour. 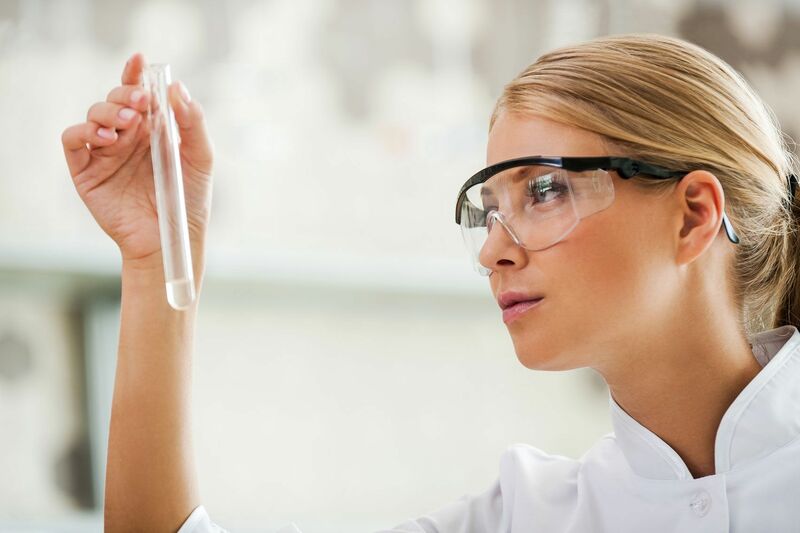 Also, lab tests have shown that Alfa Fresco is acid and sugar tolerant and its performance is superior compared to other improver solutions. 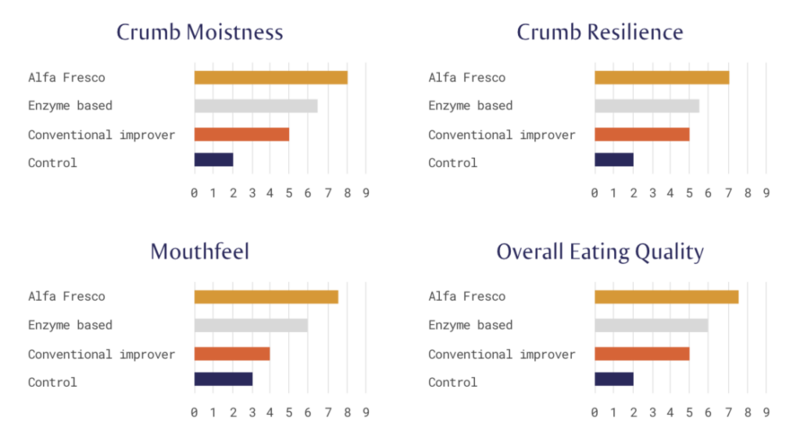 A sensory test in 4-day old bread has shown that Alfa Fresco rated higher compared to a similar product in terms of crumb moistness, resilience, mouthfeel and overall eating quality.